Wash the bitter gourd and cut it in to small pieces. wash the pieces and transfer it on to a bowl. Add 1/2 tsp salt and 1/2 tsp chilli powder on to the bowl and mix well with bitter gourd.There is no need to add extra water as we have washed the pieces just now. Let the mixture stay for 15-20 mins. Now take a frying pan,add little oil and add the cut bitter gourd to the pan and shallow fry till they are crisp. Lemon juice can be sprinkled on the crisp bitter gourd before serving! Few other fruits/vegetables offer medicinal properties for these ailments like bitter melon does. Blood disorders: Bitter gourd juice is highly beneficial for treating blood disorders like blood boils and itching due to toxemia. Mix 2 ounces of fresh bitter gourd juice with some lime juice. Sip it slowly on an empty stomach daily for between four and six months and see improvement in your condition. Cholera: In early stages of cholera, take two teaspoonfuls juice of bitter gourd leaves, mix with two teaspoonfuls white onion juice and one teaspoonful lime juice. Sip this concoction daily till you get well. (a plant insulin) that is highly beneficial in lowering sugar levels in blood and urine. Bitter melon juice has been shown to significantly improve glucose tolerance without increasing blood insulin levels. Energy: Regular consumption of bitter gourd juice has been proven to improve energy and stamina level. Even sleeping patterns have been shown to be improved/stabilized. Hangover: Bitter melon juice may be beneficial in the treatment of a hangover for its alcohol intoxication properties. It also help cleanse and repair and nourish liver problems due to alcohol consumption. Immune booster: This bitter juice can also help to build your immune system and increase your body's resistance against infection. Psoriasis: Regular consumption of this bitter juice has also been known to improve psoriasis condition and other fungal infections like ring-worm and athletes feet. Toxemia: Bitter gourd contains beneficial properties that cleanses the blood from toxins. Sip two teaspoonfuls of the juice daily to help cleanse the liver. Also helpful in ridding jaundice for the same reasons. Choose unripe bitter melons that are firm, like how you would a cucumber. Avoid those that have turned orange or have soft spots. Ripe bitter melons can be excessively bitter.Store bitter melons in the vegetable bin in the refrigerator which has the right temperature. It should keep for three to four days. Keeping bitter melons at room temperature or with other fruits and vegetables will hasten the melon to ripen and become more bitter, due to the emission of ethylene gas. Clean your bitter melon under cold running water and brush with a soft vegetable brush. To prepare, slice the melon length-wise and scoop out the seeds. To lessen the bitter flavor, soak it in salt water for about half an hour before juicing/cooking. The smaller variety is more bitter than the bigger one. To help make bitter gourd juice more palatable, take it with honey, or add carrot or apple juice. For diabetics, drink the juice with green apple juice. Do not consume more than two ounces of bitter melon, or more than two melons a day. Excessive consumption may cause mild abdominal pain or diarrhea. Diabetics taking hypoglycemic drugs will need to alter the dosage of their drugs if they consume bitter melon on a regular basis. Please consult your doctor. Pregnant women should avoid taking too much bitter gourd or its juice as it may stimulate the uterus that may lead to preterm labor. Nice recipe, I like eat Karela FRY but i dont know how to make it.I will learn to make itself when have time. 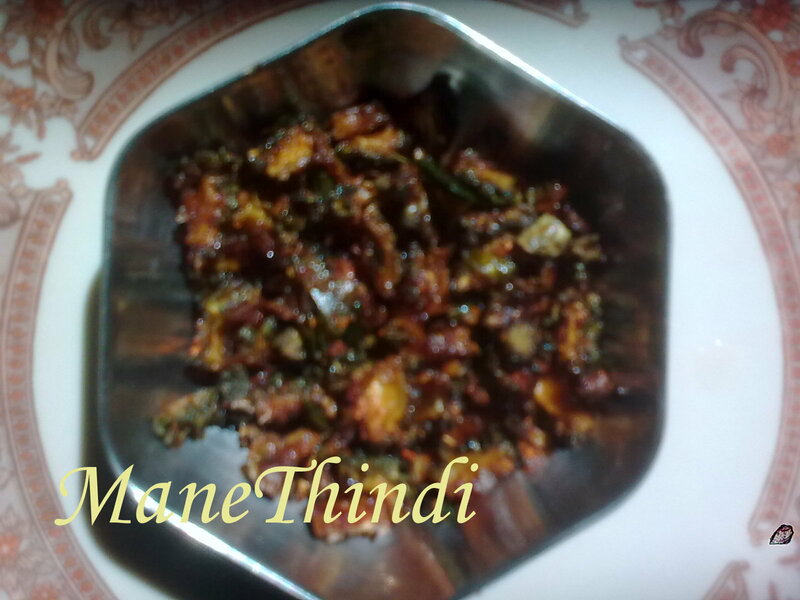 P/s If Someone want to make karela Juice visit my posting Karela juice recipe.